No one knows you like your sister. She can make you laugh or break your heart with a single word. And no one writes novels like Kristin Hannah, an author who vividly explores the intricate bonds of family and, as Tami Hoag said "touches the deepest, most tender corners of our heart." Now, in her rich, captivating new book, she creates an indelible portrait of two women, once lost to each other, about to come together in a time of exquisite joy and almost unbearable sadness. Sisters by blood, strangers by choice, each stands at a crossroads, ready to confront the betrayals of the past. . . .
Meghann Dontess is a woman haunted by heartbreak. Twenty-five years ago she was forced to make a terrible choice, one that cost her everything, including the love of her sister, Claire. Now, Meghann is a hotshot divorce attorney who doesn't believe in intimacy--until she meets the one man who can change her mind. 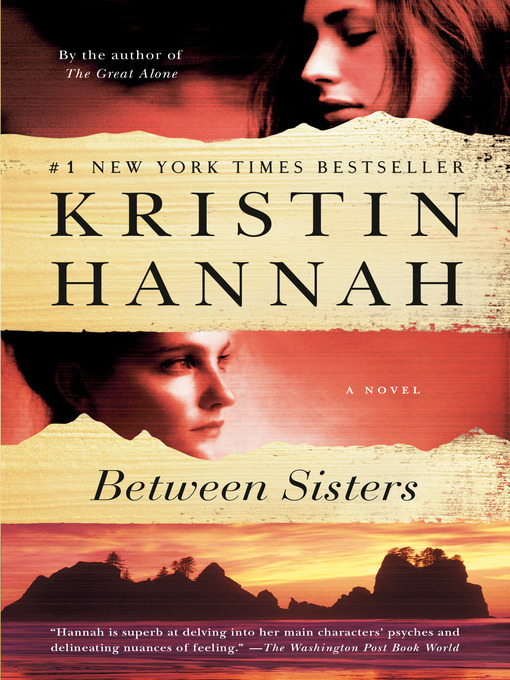 Tender, funny, bittersweet, and wonderfully moving, Between Sisters celebrates the joys and heartaches that can only be shared by sisters, the mistakes made in the name of love and the healing power of new beginnings--all beautifully told by acclaimed author Kristin Hannah.